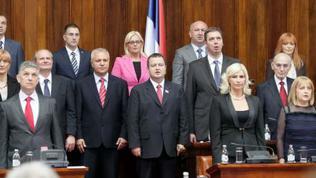 Following a 10-hour long sitting, on Friday (July 27th), the Serbian parliament has approved the composition of the country’s new government. 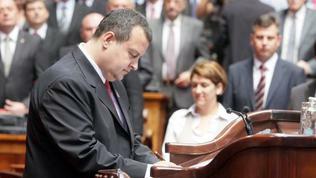 The new cabinet, which will have the smallest number of seats since 1990, will be led by Ivica Dacic, who was a deputy prime minister in the outgoing government. 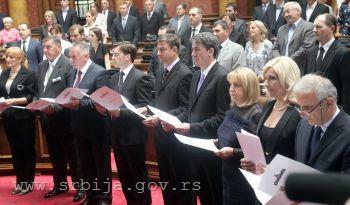 He will also keep his position as interior minister, which he served in Mirko Cvetkovic’s cabinet too. The new government will have 17 ministries and four departments: for Kosovo, for human and minority rights, for the churches and religious communities, and for the diaspora. 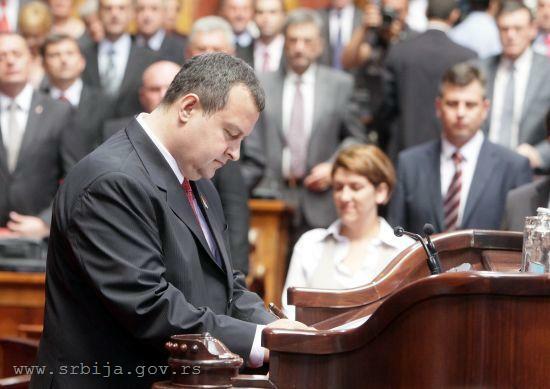 Dacic will have four deputies of which one will be in charge of security and fight against crime and corruption (Defence Minister Aleksandar Vucic), and one responsible for EU affairs (Suzana Grubjesic). 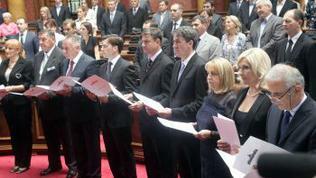 “The new cabinet’s priorities will be the country’s economic recovery. All other main goals, such as Serbia’s EU future, the resolution of the Kosovo issue, regional cooperation, fight against crime and corruption, education, healthcare and so far will depend on whether we are capable of providing economic stability,” Dacic added. For this reason, the new prime minister will propose a National Council for Economic Recovery to be set up to unite the country’ best experts in the fields of finance and economy. Local economists agreed that the idea of creating such a council was a good one but argued that the government’s good intentions would face reality in a few weeks when Serbia’s budget would have to be revised. The reason can be seen in the latest budget data for the first semester of the year, which show that the budget gap has risen by 38% year-on-year as revenues have increased by just 3.3%, while costs have grown by almost 10%. Foreign analysts commented that the new government was aware of the situation and that one of its first tasks would be to hold talks with the International Monetary Fund and the World Bank. 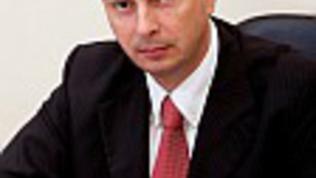 Even before he stepped into office, the new economy and finance minister, Mladjan Dinkic, said that the government did not plan freezing pensions and salaries in the public sector but would try to show that the budget deficit could be cut from the current 7% of the gross domestic product (GDP) to below 3% of the GDP. Apart from the talks with the international creditors, Dinkic intended to ask Russia to convert a part of the 800 million dollar loan, it had already pledged to give to Belgrade for infrastructure projects, into direct help for Serbia’s budget. And besides revising the budget, the new government will have to prepare and sent to Parliament 12 new bills, including one for removing unnecessary state agencies, one to change the budget system and for amendments of the value added tax (VAT) law. - by the end of the last quarter of the year, to submit the draft budget for the next year, which to include the government’t capacity to carry out reforms and its decisiveness to use this capacity in the coming years. And while most analysts look at the future, Serbia’s central bank governor Dejan Soskic wrote recently in a column in the Belgrade-based daily Politika about the mistakes that the country had made in its economic policy and which led to the current state of the economy. In his column, he argues that Serbia’s economy was harmed more by the economic policy, especially the extension of loans under state pressure, signing of contracts under which state fundings flew into the private sector, rather than the bombings and the economic sanctions. In Soskic’s words, following hyperinflation, the actual elimination of the banking sector, the slump of economic activity and the freeze of deposits, the middle class having literally melted, and the slump in the economy cannot be overcome even today, when the industrial production equals less than half of its levels in 1989. The other serious consequence from this policy is the chronic lack of confidence in the national government, as according to Soskic, the dinar’s exchange rate has been consciously manipulated. He names as another mistake “euroisation”, that is the fact that the both the dinar and the currency liabilities were bound by the so called currency clause which makes prices of goods much more sensitive to every currency rate fluctuation, meaning that with every fall of the dinar prices rise. He also says that a whole year was lost during the setting up of the privatisation model, and all these mistakes, accompanied by irresponsible spending of budget fundings, have led to a significant rise of the public debt from 29% of the GDP in 2008 to over 52% of the GDP as of end-June 2012. “State fundings were channelled through where the private sector was supposed to invest, not where the state should invest … And not only that – we have been spending and paying budget money to foreign investors to attract them here, having forgotten that they would come by themselves if only we had removed corruption, improved the business environment and built infrastructure,” Soskic says. According to him, the current economic situation could not be exited with a magic wand but with the efforts of all in the country, which should include: protection of the most vulnerable from the reforms, fiscal consolidation, fight against corruption, investments in infrastructure and a working judiciary system. Sounds familiar, right? For some of those problems a part of the eurozone is now seeking an exit from the crisis, while the newest member states have been criticised for lack of reforms in the rest of those areas. If Serbia wants to continue on the path it has drawn, the new government will really have to show more than political will and promises that it will be different from the previous one – and not in order to struggle to cover any set of criteria, but for the better future of its own country. Why Serbia have the case of Serbian Agrobanka, unstable exchange rates, high inflation in Serbia in terms of recession, high interest rates on loans ...?? All for that responsible only governer National Serbia bank Dejan Soskic. Why Governor Dejan Soskic not publicly announced, and why did not object to the law enacted by the Government of Serbia *Cvetkovic government abolishing the tax on interest income for foreign banks, and at the same income citizens of Serbia have to pay taxes? 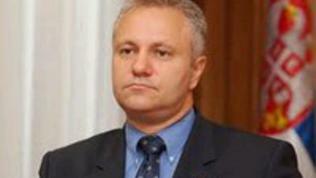 Why the governor does not protect the rights of citizens of Serbia? Who is Soskic boss!? He must replaced!